Please view the Parent Guide for more information on Summer Camps. THE MOST THRILLING CAMPS EVER! Join the SAC Aerospace Museum June 3 - August 2 for a camp experience that ignites the thrill of learning! One-day, three-day, and five-day combo camps are available for youth entering grades 1-6 for the 2019-2020 school year. Camp offerings are also available for grades 7-8 in both drone and robotics. All camps are led by the Museum’s education staff and include hands-on fun activities to create engaging camp experiences. Campers can choose from a variety of themes including, aviation, engineering, game coding, circuitry, robotics, drone, and spy camp. Camps are based on the grade your child will be entering for the 2019-2020 school year. *Click here to see Additional Information for simulator height restrictions. Description: Test problem solving skills by finding clues, solving puzzles, and competing in this all day race. Description: A day full of space-related activities and a visit with Astronaut Clayton Anderson. Description: Engineering design camp that tests building skills as campers complete projects and challenges. Description: Learn drone safety, flight controls, complete indoor obstacle courses, and other aviation activities. Description: Code and create a video game while learning about the creation of different types of games. Description: Acquire survival and first aid knowledge while testing physical skills in an outdoor obstacle course. Description: Explore the universe and learn how gravity works. Experience a full day of space themed activities. Description: Explore Cubelets, Spheros, and Lego Robotics with mazes, games, and more! Description: Learn the chemistry behind the products we use every day. Bring home relaxation essentials with a handmade spa kit. Description: Complete spy missions and solve a mystery at the Museum. 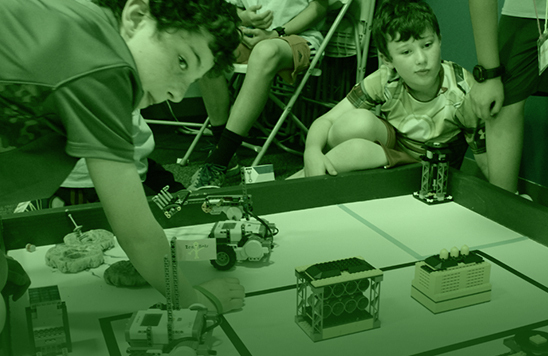 Description: Robotics camp focused on programming Lego EV3 Mindstorms. Designed around a robotic competition. Description: Discover the science behind objects in everyday life and experiment with chemical reactions. Meals / Snacks: Campers are welcome to bring a lunch or you may purchase a box lunch for $6.33. Box lunch will include turkey & cheese sandwich, bag of chips, and bottled water. For multiple-day lunches, contact our Education Manager at 402.944.3100 ext. 204 for options. Snacks will be provided by the Museum. Before Camp Care: Before camp care will be from 7:30 a.m. - 9 a.m. for $8.00 daily. After Camp Care: After camp care will be from 4 p.m. to 5:30 p.m. Any pick-up after 5:30 p.m. will be subject to additional monetary charges. Medications: All medications must be checked in to the camp counselor and the counselor will ensure medications are taken as needed. Medications must be in original prescription bottle. We cannot accept meds in a Ziploc bag. Refund / Cancellation Policy: Payment is due upon registration, and all sales are final, as this money is used to purchase resources necessary for camp. In order to provide the best experience possible for our campers, space is limited in each camp. Flight Simulators: Any camp with flight simulator rides included have a minimum height requirement of 42" with an educator, and 48" without an educator. If your camper does not meet the minimum height requirements, they will not be able to participate in that activity.